By now, the Gold Coast‘s reputation as a breeding ground for young creative’s, entrepreneurs, artists, stylists, movers and shakers is well cemented. After all, when it’s virtually summer all year round, when you live in close proximity to the beach, and when like minded people are always around, it’s enviable that you catch the bug. So what exactly do you do when you find yourself amongst this hyper creative, eclectic vibe? 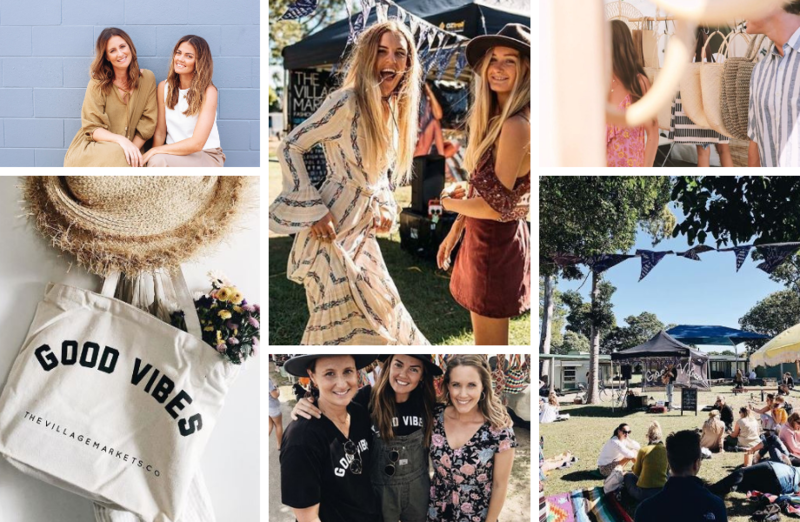 Well you shop that’s what, and chances are that you’ll shop on any given Sunday at The Village Markets – the brain child of today’s #careerstory Marissa Bowden and Sarah Schoeller. Founded in 2008, (Yes! it is their 10 Year Anniversary – Happy Birthday TVM) The Village Markets are the original boutique fashion and lifestyle market, created with the intention of providing a platform for talented local emerging designers, creatives and collectors to showcase their wares, connect and collaborate in a positive, unique environment. As well as creating a favourite hangout for locals and visitors to the Gold Coast. 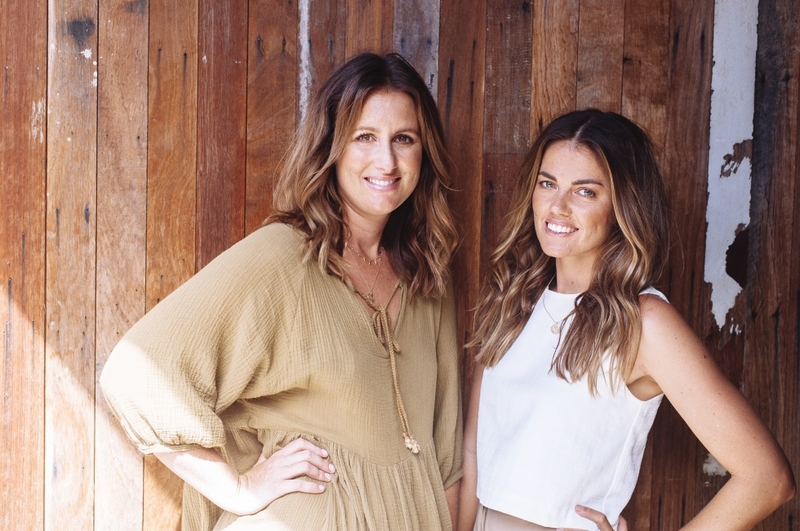 I freakin LOVE this #careerstory both Marissa and Sarah had incredible careers in marketing before a shock redundancy propelled them into a new wave momentum, and the start of TVM. What the girls have gifted to the world will stand the test of time. 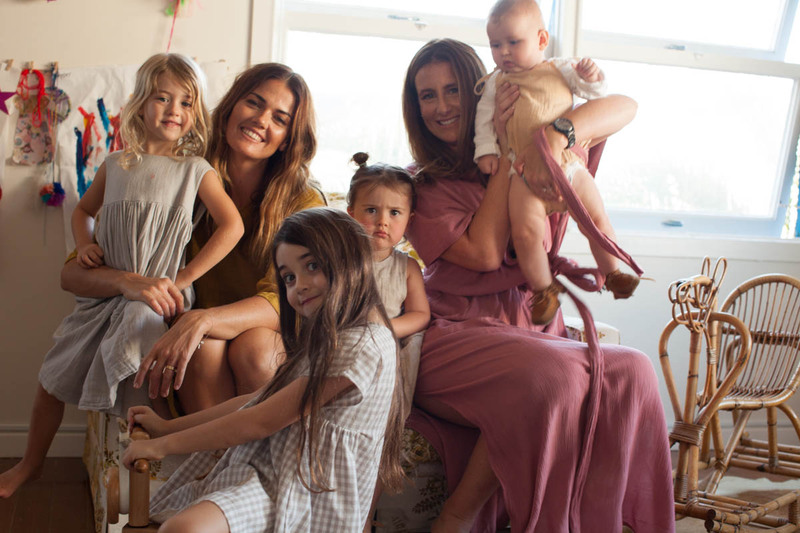 The fostering of new creative talent, the connection of brands, the wonderment of live events and the inspiration to the next generation of girls that you can do anything you set your mind to. Girl, proceed with caution… life is never going to be the same again. Please meet Marissa and Sarah. Hey Marissa and Sarah, let’s start this #careerstory at the very beginning. Where did you both grow up and how did your experience influence the career that you are in today? 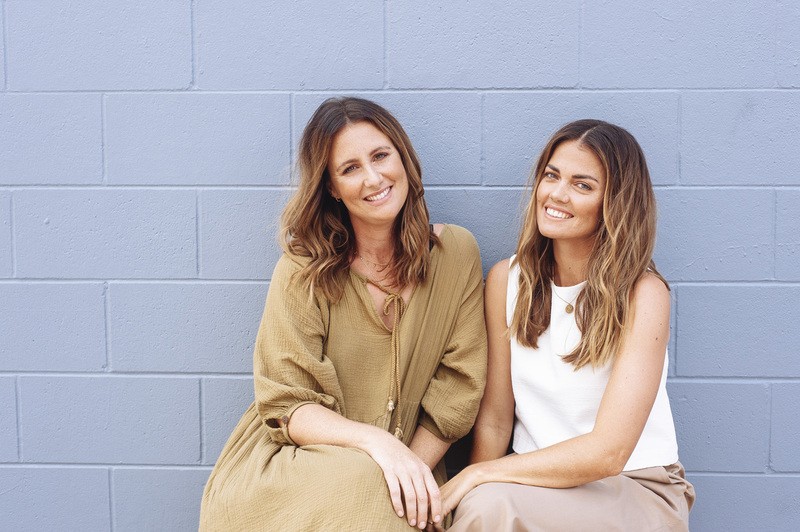 Marissa – I grew up in Currumbin on the Gold Coast, we lived close to the beach, and weekends were spent surfing, swimming and generally living a pretty simple, blessed life by the sea with my family (mum, dad and sister, Amy). My parents have always instilled in us that we are capable of anything, that if you want something, go out and get it. This is definitely the case where my business The Village Markets is concerned. We (Sarah and I) wanted a cool market on the Gold Coast and thought we may as well start one from scratch. My parents insisted my sister and I go to University (I am really glad they did), so after an early sporting career (I was an ironwoman) and being unsure of which direction I wanted to go with my study, I completed my Bachelor of Business Degree majoring in Marketing. It evolved from there. Sarah – I grew up at Carool, in Northern NSW (about 15 minutes from Coolangatta) on 20 acres. My parents still live there and it holds a pretty special place in my heart. I grew up with my brother and sister, mainly barefoot chasing goats, cows and chickens, swinging in trees or hanging with our cousins. My mum still jokes that she only saw us when we were hungry. I’m definitely a farm kid at heart and love the freedom my childhood provided me with. My parents are hardworkers, and being on a property means there’s always something to be done. My Mum studied early education later in life and her passion for raising children is something she’s definitely passed on to me. I attended a Steiner School during my primary years and am certain that experience has greatly shaped my creative passions for design and marketing. Marissa – I was sent to a private school for my first year, however I felt like such a fish out of water and after much discussion, I chose to switch over to Palm Beach Currumbin High School, where I was part of their sports excellence program. It was a big school but I feel like my self-discipline and support network saw me through. I think if you have the right foundations, you should be fine in any school environment. Sarah – I attended Tweed River High School and really enjoyed School. My closest girlfriends are from high school friends and I’m proud of the beautiful friendships I formed there. Tweed had amazing teachers, resources and a commitment to seeing students excel in sport and academia. Our deputy principal introduced a ‘Target 100’ program to help HSC students achieve 100 on our final exams, I was part of the school’s Netball Sports Excellence Program and Student Representative Council. Marissa – No, I don’t believe so, to be honest. It wasn’t really clear to me during my high school years what sort of study I would undertake. I was into sport but knew I needed to have a degree under my belt as well. I am really glad I did commence, completed the Business Degree at Griffith University, as during the first year I was introduced to so many different elements of business. I was able to discover the area I really enjoyed the most – which at the time was marketing. Sarah – I think at 18 it’s difficult to make any decisions about where you’ll be in a few years time. I started an Arts degree, but quickly discovered it wasn’t for me and switched to business, then fell in love with marketing in my first year. The subjects you love at school don’t necessarily translate to a career. Marissa – During high school I didn’t do work experience, as it wasn’t encouraged at all at my school and I was really just doing what was required and focusing on my sport (which evolved to 18 training sessions per week!). During Uni, once I knew I wanted to pursue marketing I did contact some local companies and did work experience within their marketing departments. I would definitely recommend work experience to any student. You learn so much more in a practical environment. Sarah – I did two weeks work experience with a digital agency that operated within an advertising agency in Sydney during my school holidays. It was the best thing I could have ever done and straight after I landed my first job as a Marketing Assistant at Stella Resorts (now Mantra Resorts) whilst still at Uni. Marissa – as above. Bachelor of Business Majoring in Marketing at Griffith University. Sarah – Yes, I have a Bachelor of Business Majoring in Marketing from Griffith University. Marissa – In a nutshell, after Uni I was Marketing Assistant for IMG, who manage a range of clients and sporting events and at the time I was responsible for the Lexmark Indy 300 and other motorsport events. I was very green when I started! I learnt so much from this role and had an incredible team around me. From here, I moved on to MFS Limited, a large listed financial company, where as Marketing Coordinator I looked after our marketing and sponsorship for major events such as the Australian Open Golf. From here, I moved on to work for the AFL as the only employee under the GM (out of Melbourne) of the new bid team, to secure the leagues 17th AFL team on the Gold Coast. I worked as part of the successful GC17 campaign, where my role was marketing but was very ad-hoc due to the size of the team. This was an amazing opportunity, as I was able to sit in on board meetings and meet with executives from the AFL, some of the smartest and most strategic people I have met in my professional career. These opportunities teach you so much. I then went on to work in marketing and fan development for the new club, the Gold Coast SUNS. I actually created TVM while working full-time for the AFL, so I would work on TVM at night for around two years prior to leaving the AFL to work for myself (and have babies). 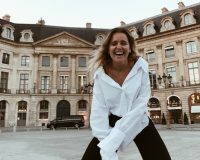 Sarah – In my second year at Uni, I started a full time job as Marketing Assistant at Stella Resorts and under the wing of an amazing manager, quickly learned the ropes and was promoted the Direct Marketing Executive. From here I followed the same manager to MFS (where I met Marissa) and ended up as Retail Marketing Manager. I was responsible for generating the retail marketing and communications for five investment funds. After being made redundant, a few months later I started as Marketing Manager at Zarraffa’s Coffee. During my time at Zarraffa’s I opened over 25 stores, launched the businesses first statewide brand campaign, developed the company’s brand magazine Grind and created the most successful drinks promotion. I worked closely with the founder and CEO, who I learnt a great deal from when it comes to running a business. It became evident 2.5 years into this job that the market were taking off and needed more attention, so both Marissa and I started working on the markets full time – biggest career highlight to date! How did you start The Village Markets, take us back to the very beginning. 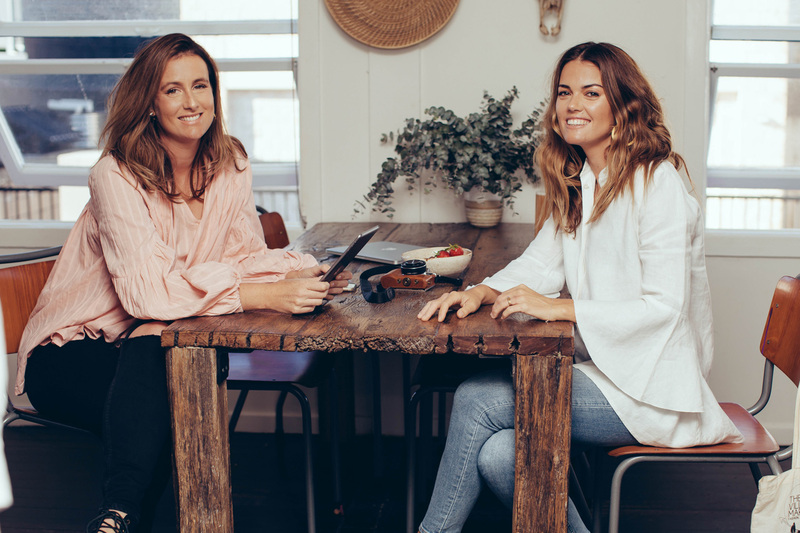 Marissa – I created the business alongside my business partner and friend, Sarah Schoeller whom I met during our time in the marketing team at MFS Limited. It was important for me to have those years working as part of a team and soaking everything in, but there is nothing like working for yourself! Sarah – Marissa and I worked together for a finance company in marketing and we used to talk about how the Gold Coast didn’t have a great fashion market. When we were made redundant (during the GFC) we had some time on our hands, and decided to start our own. 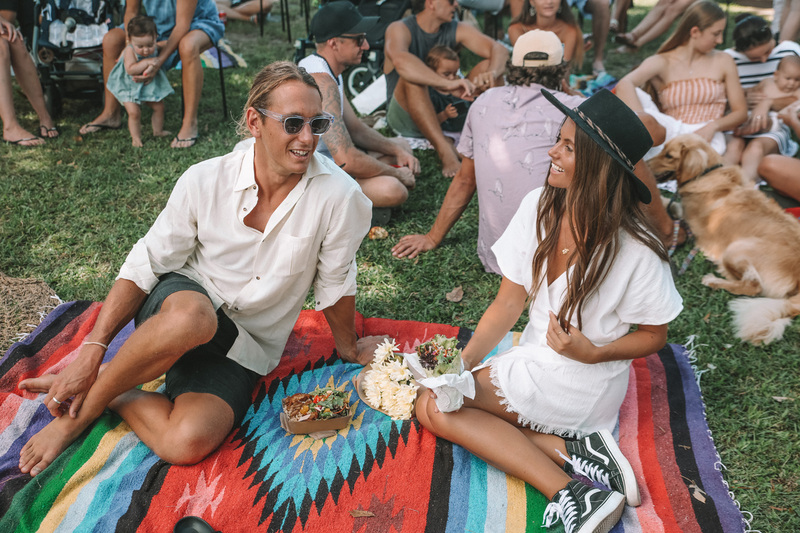 We’d been to some great markets in London and Sydney so we decided to put our own flair on it and focused on local designers, live music and street food. Both Marissa and I loved unique and vintage pieces and felt there really was a gap in this style of shopping on the coast. 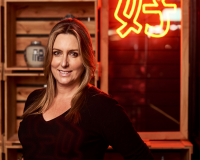 Having both lived and worked on the Gold Coast most of our lives, we knew due to the lack of opportunities for creatives on the Gold Coast at the time, many young people were moving interstate to pursue opportunities in larger cities. We wanted to provide these creatives and any other people who may have a creative passion waiting to be explored, with the opportunity to stay here and have a platform to showcase their wares, as well as giving them a like minded community to connect and collaborate with, both at the event and online. What is the hardest part of now running a very successful business? Marissa – I would say switching off. When you work for yourself, from home, with a young family, the lines can often blur and it’s quite hard to separate home time from work time. Especially since Sarah and I do all elements of the business ourselves (as well as having two operational staff assist us on event day). Marissa – after kindy and school drop-off, it’s a lot of admin such as responding to emails and processing new stall applications. Every week is different but generally my role includes managing content for TVM such as blog posts, designer interviews, event promotion, social media, newsletter content, event planning such as confirming our event list, constructing the site plan, booking our musicians. Other varied tasks we both work on include PR, media requests, planning and submissions. Then it’s pickups and sometimes catching up on work after dinner when the kids are asleep, when it’s necessary (I am working on changing this!). Marissa – My parents. They have seen so much of the world, setting off at just 17 where they slept on the beach in South Africa, visited places like Sri Lanka and travelled Europe in a van. They are still travelling on and off to this day but have also worked really hard. They have taught us to do what you are most passionate about, never to settle for less than you deserve and most importantly, to be a good human! Marissa – go for it. 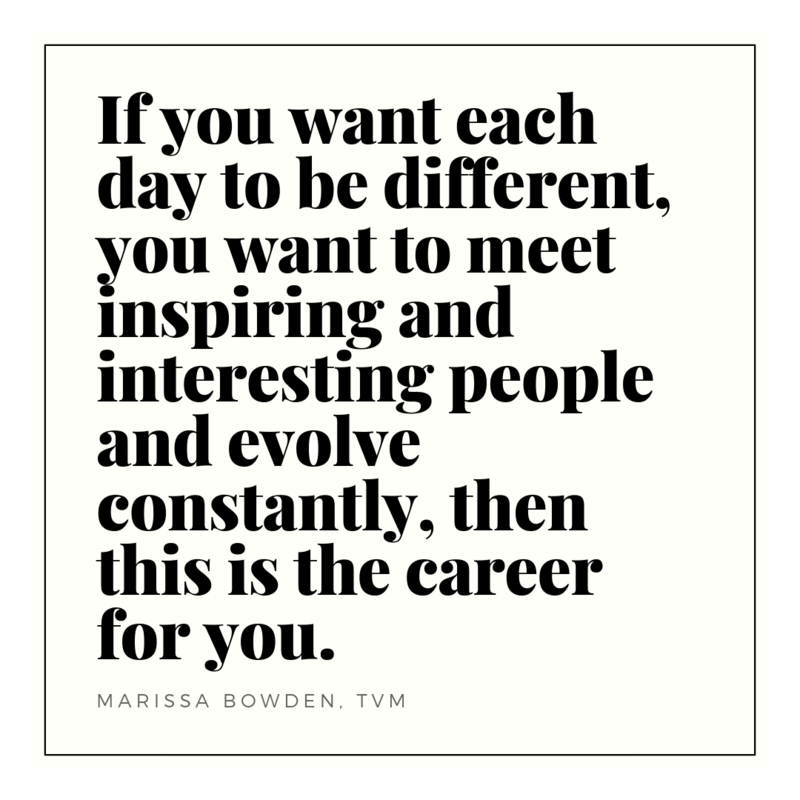 If you want each day to be different, you want to meet inspiring and interesting people and evolve constantly, then this is the career for you! Favourite Websites: TED Talks. To raise brave girls, encourage adventure – Caroline Paul for TED.  Favourite Podcast: Your Creative Start and The Tim Ferris Show. Favourite Netflix Series: 13 Reasons Why is pretty good, but definitely hard to watch! Favourite all time book/s: I like Lianne Moriarty’s books, to switch off. People: Nice, interesting people! The SPELL sisters are very inspiring. Anyone following their passion is pretty damn cool. Others: Instagram has been a great tool in connecting with brands and like-minded businesses too. Now it’s over to you. Tell us what you think of this #careerstory below and make sure you follow the girls through The Village Markets HERE! 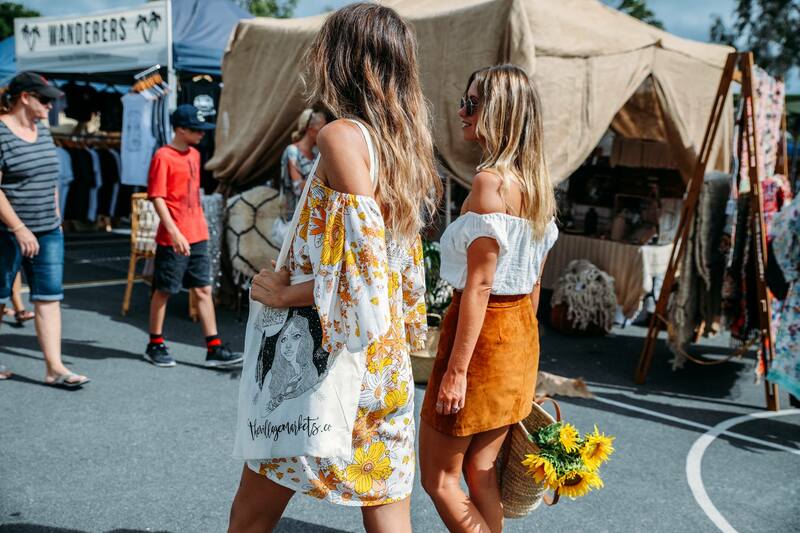 If you live in the Gold Coast, you simply can not miss The Village Markets 10th Birthday Celebrations. See you there!